« Understanding Mark’s Jesus through Philo’s Moses? 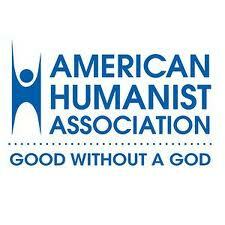 Are humanists and atheists engaged in a religious exercise? Is the mythicist agenda anti-religion and anti-Christian? Evidently, Ehrman does not realize that the humanist movement arose as a response to religion, as a rejection of its traditional all-encompassing and rigid dictations . . . .
Evidently, Ehrman does not realize that the humanist movement arose as a response to religion, as a rejection of its traditional all-encompassing and rigid dictations of what life constituted, how it should be lived, how we should think, and how we should view and treat the world. Having come to realize that this tradition was flawed and even harmful, an ongoing impediment to rationality, science and human rights, many people came together to try to counter these undesirable effects and offer an alternative. Adopting a stance against religion in all its negative aspects was essentially one raison d’etre. Those who were convinced that religion’s foundation in a belief in God(s) and a supernatural dimension to reality was fundamentally erroneous felt a desire to correct that error in humanity’s thinking—not through force, indoctrination or legislation to impose one view of reality on everyone, such as religion has traditionally tried to do and is inherently ‘set up’ to do—but through reasoned persuasion and education. Here Ehrman . . . can only evaluate other or opposing views in religious terms. He seeks to apply the concepts of religion to the non-religious. But this is a misuse of language and concepts. We can say “he works at his job religiously” because we have broadened the meaning of “religiously” to apply to anything that is undertaken with dedication and faithful attention. This does not make working at that job a religion in the standard sense, because it does not involve belief in a god or the supernatural. Humanism may be promoted by some circles of non-believers quite “religiously” but that does not make humanism a religion. That is simply an attempt by members of actual religions to cast their own net over their opponents. “You criticize us for the qualities we value? You practice the same ones!” But what those respective qualities are used in the service of is quite different. Again Ehrman seems to be saying that meaning and fulfillment only enjoy legitimacy, or ultimate reality, within the context of religious interpretation. Here, again, Ehrman seems to be saying that the very concepts of meaning and fulfillment only enjoy legitimacy, or ultimate reality, within the context of religion, or something given an essentially ‘religious’ interpretation (such as in the woolly and misleading terminology of being ‘spiritual’ so popular in our generation). That is indeed, and has always been, the “dominant” form of discourse in these matters, and it is precisely the rejection of that stance, one based ultimately on theism and supernaturalism, which leads humanists and atheists into actively setting themselves against it. Modern medicine of the last couple of centuries set itself resolutely (one might say religiously) against the longstanding medical practice of bleeding a patient to release harmful humors causing illness. Is modern medicine a religion? It recognized the harm created by older convictions and practices. Should they have been reluctant to set themselves “over against that dominant discourse,” or be criticized for it? Should the religious belief that two cells coming together within moments of conception are infused by God with an immortal soul be allowed to impede the potential cure of human illnesses through stem-cell research? Should the primitivism of two and three thousand-year-old cultures and their writings be allowed to dictate to the modern mind and society on everything from the origin of the world to what constitutes ‘sin’ to one’s fate in an afterlife? Ehrman, observing that humanist meetings devote much talk to how to deal with family reaction when leaving the faith, or how to oppose the teaching of creationism in science classrooms and so on, laments that humanists situate their humanism in relation to something else, that they often define themselves in terms of what they are not, namely “agnostic” or “atheist” in relation to theism. Again, that is essentially their raison d’etre, and even their positive stances and adopted lifestyles are necessarily ‘set over against’ the traditional ones based on a belief in God and what that belief requires. Given the society in which we live, and its long history, this is inevitable and perfectly acceptable. When astronomers of Copernicus and Galileo’s day proclaimed a sun-centered world, this was a positive declaration of their view of the universe. But it could hardly be promoted, let alone adopted, without setting itself against the traditional view of a Ptolemaic earth-centered one, a view fiercely adhered to by religious interests based on the bible’s own presentation and on which its inerrancy was seen as dependent. Considering that religious belief has produced so much which has operated against that greater good, ‘taking on religion’ is a natural and necessary aspect of being a humanist and atheist in most societies around the world (although considerable numbers of humanists advocate against doing so)—with a few notable exceptions, one of which is unfortunately not the United States of America. If innovators and researchers not shackled by received tradition backed away through fear of ridicule we’d still be living in the Stone Age. Well, this type of admonition could have been made against almost any individual or group who ever put forward a theory which bucked the going wisdom. Copernicus threw traditional astronomy into disrepute. Darwin was mocked by the religious establishment. Wegener was disowned by the discipline of geology and ridiculed by his colleagues for his theory of continental drift. If innovators and researchers not shackled by received tradition backed away through fear of such reactions we’d still be living in the Stone Age. Yes, we have had our share of new theories deserving rejection (alien visitors to earth as the source of human life is probably one such). But that rejection has usually been backed up by reasoned argument and counter-demonstration. And such rebuttal has had to stand up to scrutiny. Ridicule by itself or appealing to “the way we’ve always thought” doesn’t do the trick. But Dr. Ehrman, you’re already a Jesus mythicist; I just believe in one less mythical Jesus than you do! Before going on to explain why Jesus is a problem for atheists and humanists, Ehrman switches gears and examines why Jesus constitutes a problem for religionists. The problem is that he is “too historical,” by which Ehrman means he is too adaptable. Christians at all times, and especially in the modern age, have been able to turn him into anything they wanted in order to suit different agendas, whether of televangelists, free-enterprise capitalists, racial supremacists, advocates of the welfare state, or any of a host of other self-interests. Of course, Ehrman sees the historical Jesus as none of these things, and he takes the opportunity to summarize the apocalyptic preacher he believes Jesus to have been. Ehrman has summarized modern Jesus scholarship quite well here, and given the perennial failure of repeated quests to find the ‘real’ historical Jesus more and more of our modern New Testament scholars have begun admitting as much. But what do many of them turn around and do? Just like Ehrman, they claim that they have finally identified the true, real, genuine historical Jesus to properly replace all those “monstrous inventions” of the past. No fad my theory. No problems with my evidence and argument to finally uncover the Jesus of history buried under all that early Christian superstructure and misguided preceding scholarship. If they live long enough (give it maybe a decade or so), they get to see their own claims follow onto the scrap heap. So now we’ve arrived at the crunch. 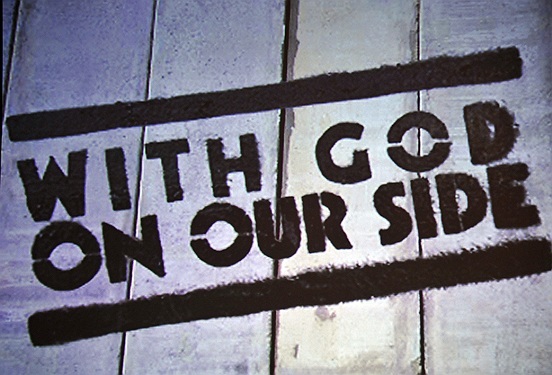 Regardless of all the arguments pro and con, never mind the credentials business, forget all the misfirings of past historical Jesus quests, mythicism can be rejected as unreliable and discredited simply because…MYTHICISTS HAVE AN AGENDA! Of course, Ehrman is hardly the first to make that accusation. It has been an invaluable staple in most dismissals of the mythicist case, going back to its earliest refuters, such as Maurice Goguel (1928) and Shirley Jackson Case (1912). Mythicists are not to be trusted because they are motivated by their own anti-religion and anti-Christian biases. Ehrman is surely as motivated by the same concerns about historical reality and its consequences as humanists and atheists are. Could I not equally accuse Ehrman, in his promotion of a Jesus who was a failed apocalyptic preacher, of having an agenda, since his conclusion would be just as devastating to the Christian faith? After all, he has admitted to being at least an agnostic on the existence of God. Perhaps he is one of those “virulent, militant” agnostics/atheists, but is being a bit more subtle about it. I am sure Ehrman’s response would be to assure us that he is not, that he has good scholarly integrity and is honestly evaluating the evidence as he sees it. After all, he has studied the question of who Jesus was for years. I, for one, would be willing to allow him that honesty, without accusing him of something nefarious. Why is he not willing to do the same for committed mythicists? An admirable motive. And why is the knowledge of that historical truth preferable to the naïve institutional beliefs of an indoctrinated Christianity, a religion he himself has set aside as erroneous and unacceptable, just as humanists and atheists have? I won’t guess at his exact words, but hopefully his answer would be along the lines that, in principle, a society should not govern itself, should not shape its laws, should not fashion its rights, should not educate its children, should not compromise its science, should not limit its technology, should not encourage superstitions of the supernatural, of angels and demons, of blissful afterlives and hellfire damnation, according to a belief system which can be judged to be based on a fiction. In other words, Ehrman is surely as motivated by the same concerns about historical reality and its consequences as humanists and atheists are. Each of us has a perception of the truth and a desire to propagate it, perhaps the fundamental impulse of the human intellect. Why is Ehrman on the one hand an honorable and respected scholar, while mythicists on the other hand are a bunch of ignorant agenda-driven charlatans? He may disagree with mythicist arguments and conclusions, but the proper procedure is to approach those arguments and conclusions like a true scholar, with an open-minded eye, evaluate them honestly without prejudice or preconception and measure them against his own. At the same time, he should do his best not to misunderstand, much less misrepresent, the mythicist case. I think we can safely say that he has done none of these things. Yet mythicist books are full of that very thing: an often minute analysis of the texts, including in the original languages, a reasoned interpretation of those texts aided by the study of a much wider literature, an examination of ancient history, religion and philosophy and their relation to Christian origins and beliefs. Precious little—other than knee-jerk dismissal and the tired old appeal to authority—has been offered by historicist scholars to discredit such historical exercises, much less to set more reliable alternatives in their place. (Remember Maurice Goguel, who was not going to “bother” addressing actual mythicist arguments in a book dedicated to demolishing them, relying on the same timeworn ‘proofs’ of the existence of Jesus?) And that a discipline which has been traditionally dedicated to unabashedly “doing theology” in its study of Jesus and the New Testament would accuse humanists of doing the same thing, as though it were some sort of compromising activity on our part, is nothing short of comical. Religious or not, we all have agendas. The term itself has taken on a derogatory connotation these days, in many contexts. But understood neutrally, it is not a dirty word. Ehrman has his agenda. It can hardly be denied that New Testament scholarship has had its own agenda, though one with variations, particularly as the 20th and 21st centuries have progressed. One of those agendas was and remains in many circles confessional, though increasingly another has been to uncover the historical reality of Jesus the man. Somehow, the ‘real’ Jesus, even if not the heavenly Son of God, serves the interests of theism. Yet more often than not, those scholars who subscribe to the latter (such as Spong, Crossan, the late Robert Funk and the Jesus Seminar) have seen it as opening up some kind of avenue to ‘spiritual’ insight and progress; somehow, the ‘real’ Jesus, even if not the heavenly Son of God, serves the interests of theism, or at least of something a little more respectable and enlightened than—hummph!—mere science and earthbound reality and understanding humans as humans. For every Christian testimonial to how Jesus has changed his or her life, one can supply an atheist testimonial to the intoxicating liberation from fear, guilt and oppression, an opening up of life’s potential once religion was abandoned. Atheism and mythicism are not permitted to join the privileged club of debunkers. Never mind that ‘believing in Jesus’—without whom Paul’s Christ cult would never have survived—has led to untold misery and stagnation for an inordinately long time. The long litany of religious sectarian strife and international wars, of inquisition and pogrom, of conquest of ‘inferior’ cultures in the name of Jesus, of opposition to scientific and social enlightenment and the promotion of human rights, of impediment to investing in this the only world we are sure of having, is disheartening to say the least. Belief in a personal savior has never advanced human progress one iota. The fear created over the centuries, fear of devils and witches, fear of the infidel and non-believers, fear of the pleasures of the human body and intellect, and above all fear of God, of sin, of eternal punishment, has wrecked millions of psyches and stunted millions of lives. And don’t let anyone tell you that faith in Jesus meek and mild, blood sacrificed for our transgressions, has relieved any of that. If anything, this bizarre primitive doctrine has accentuated the fear and the guilt. 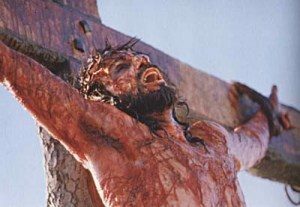 If God sent his own Son to earth to undergo such suffering on our behalf, how much more do we owe God and Jesus our allegiance, our every thought, word and action in the service of conforming to their wishes and worship! For every Christian testimonial to how Jesus has changed his or her life, one can supply an atheist testimonial to the intoxicating liberation from fear, guilt and oppression, an opening up of life’s potential once religion was abandoned. The fallacy here, of course, is that it doesn’t take the influence of Christ, much less all its divisive and superstitious baggage, to do good in the world. Otherwise, atheists—whose numbers are increasing—would be criminals and anti-social misfits, and clogging the jails. Cultures devoted to rival supernatural beings would be in social chaos, too. And non-theist organizations would not be concerned with ethics, social welfare and human rights, as virtually all of them are. Ehrman’s case for an historical Jesus has been exposed as a weak effort and flawed exercise . . . . Capping it off with the ultimate disreputable tactic of personally attacking the messengers and their integrity makes “Did Jesus Exist?” a dismal failure and an embarrassment. If at the heart of atheist concerns lies the realization that without any historical Jesus at all, western religion would not have taken the course it did, nor continue to have the negative results it has produced, it is only natural that humanist scholars would have a disposition to focus on this issue. Ehrman notes, as though he has discovered a hand in the cookie jar, that it is only atheists and humanists who seem to be open to the idea that no historical Jesus ever lived. But this is hardly tantamount to being guilty of deliberately fabricating their theory for nefarious ends, of promoting their own wishful thinking based on no scholarly or legitimate evidence whatever. Mythicism has too long a history, it has produced too much responsible literature. (I have no hesitation in including my own The Jesus Puzzle and Jesus: Neither God Nor Man in that catalogue.) It has been in the hands of too many able scholars, even if some have been for the most part self-educated, though many have possessed ‘proper’ credentials such as the 19th century Dutch Radical school and more than one contemporary scholar. It has been too persistent and too tenacious. Through today’s Internet, it has won over too broad a constituency, comprising intelligent people who can recognize traditional bias, fallacy, special pleading—as against good argument and often simple common sense—when they see it. Ehrman’s case for an historical Jesus has been exposed as the weak effort and flawed exercise it truly is, by more than just myself in the present series on Vridar. Capping it off with the ultimate disreputable tactic of personally attacking the messengers and their integrity makes Did Jesus Exist? a dismal failure and an embarrassment. Ultimately, mythicism will stand or fall on its own scholarly arguments, irrespective of any supposed agenda. Contrary to its longstanding mantra-like claims, traditional scholarship has done little to actually address those arguments, let alone refute them. Bart Ehrman has made the effort and been found wanting. This series of all 34 installments will hopefully become available in e-book form on Amazon in the near future. Posted on 2012-08-27 08:33:39 GMT+0000 by Earl Doherty. This entry was posted in Earl Doherty, Religion and tagged Bart Ehrman, Christ Myth Hypothesis, Did Jesus Exist?, Earl Doherty. Bookmark the permalink. Thank you Earl! You are really an inspiration! The irony is that Paul-Louis Couchoud was attacked and ridiculed by scholars (Loisy, Guignebert) no less for his views not unlike those of Earl Doherty’s, despite going out of his way to so often express high praise for the Christian religion. What astonishes me is that biblical scholars like Ehrman demonstrate such a poor awareness of the thought-systems outside their own narrow enclave. They say they are agnostics or liberal Christians but they have have such a manichaean perspective towards anything that they feel contradicts the foundations of Christianity. Atheism and humanism are associated with negative motives or mind-sets — just as the taliban-like biblical authors indicated they should be. When they dismiss atheism and humanism from such misguided perspectives they are really declaring their irrelevance to the wider world as it is. They appear to only understand theology and very little else beyond the level of popular prejudices. I’d like to think this is “only in America”, but then we find Casey and Bauckham and Wright equally belittling anyone who makes light of Christian piety. Thanks, Earl and Neil, for providing all this information and thought. You both have influenced and convinced many people. I attended Lutheran schools through my sophomore year of high school, and I have continued to study the Bible energetically and thoughtfully through my adult life (I am 59 now). I still continue to attend my neighborhood church (Roman Catholic) occasionally. I have fallen away from Christian dogma, but I never have felt any hostility at all toward my Christian upbringing or to the Christian Church. I feel that I am trying to understand the Bible and the origins of Christianity, and I feel that a couple of years ago Earl Doherty put my onto a much better path in that endeavor. The New Testament makes much more sense to me now. Thanks and great job Mr. Doherty! Are these 34 blogs going to be turned into a book? I’d like to hear how Earl Doherty, Dr. Price and others feel about this mythicist position video. It’s the best one in my opinion that gives an Occam’s razor explanation for the origins, history and evolution of religious mythology. We need to organize a mythicist project that actually includes mythicists this time. We need a new department in academia for religious mythology and astrotheology because we will never get approval from New Testament scholars or from that entire academic field as they’ve fought against allowing it in from the start. The time has come! There are conflicting definitions of religion at work here. You are applying the conventional definition of religion as a body of faith, a social institution with a set of doctrines, documents, rituals and symbols. But there is a more conceptual definition that has to be considered, going back to the etymology of the word religion as ‘rebinding’. By this definition, a religion is any conceptual framework that explains reality, that ‘binds’ us to a seemingly coherent set of assumptions regarding what is considered absolutely true. Against this broader definition, atheism and humanism are religious to the extent that they supply a coherent worldview that ‘rebinds’ us to an absolute or ultimate reality. Humanists sometimes say that any ‘ultimate’ narrative has to be rejected because it ends up relying on authority rather than evidence. Laudible as it is for its core ethical principle of restricting assent only to claims that are based on observation, this humanist view leaves open a basic psychological question. Namely, how can humanism supply a social narrative to which all people can readily belong? Without such a narrative, obsolete religion will continue to fill the gap. Belonging to a community requires assent to a shared story. Human foibles and ignorance mean that such a story will always have a mythic, ie religious, content and structure. So we see the modern replacements of religion (sport, art, music and movies) contain all sorts of mythic symbolism that resonates with peoples’ emotional desires. The atheist antithesis of the supernatural thesis of religion has involved the observation that supernatural belief is intrinsic to religion. By the conventional definition of religion as a social organisation this critique is justified, but by the conceptual definition of religion as rebinding, any encompassing worldview that provides meaning and purpose for people can be classified as religious. My view is that what is needed is a new synthesis, recognising the value in both the thesis and the antithesis, a Hegelian historical evolution of cultural ideas. Such a new synthesis should remove the supernatural fantasy from Christianity while recognising its value as archetypal myth, social glue and ethical teaching, and recognise the rationality of atheism while tempering its skepticism about the social function of myth. The aim should be to build incrementally upon precedent, so that attitudes towards religion can evolve from a basis in false dogmatic belief to a basis in true scientific knowledge. I agree, both with RT and Earl, that “mythicism” is not necessarily anti-Christian. Indeed, if Earl is correct about Paul’s view of Jesus, a mythicist case is closer to what original Christians believe. In fact, modern Christians already have much the same relationship to Jesus Christ as Earl’s Paul. In Hegelian terms, though, what we’ve seen to this point is a synthesis around a human Jesus who provides a model for modern Christians to follow. This model does remove the “supernatural fantasy” while preserving the core Jesus story (the innocent, perhaps misguided, preacher-martyr). I have noted before that while historicists are beginning to coalesce around an apocalyptic-preacher view, there is a reluctance to see attested historical figures as models (such as Jesus ben Ananias, Judas the Galilean, the Egyptian, etc). It is my hunch that this reluctance is due to the failure of any of these models to live up to modern conceptions of what Jesus of Nazareth must have been like. I do think, though, with Robert, that we are entering an era in which the idea of an historical Jesus will be passe. We aren’t there yet though. The house of cards is starting to topple. I hope Neil will treat us to a discussion based on the book, just out, “Jesus, Criteria, and the Demise of Authenticity.” Perusing it now, and it has some very interesting, potentially paradigm shifting, observations about the current state of NT studies and the Third Quest. I’ve told the story before, but that rarely stops me a second time. I did once put to a fellow of the Jesus Seminar whether he thought Christianity really needed a historical Jesus to survive — all the church bill-boards tell me he is now in believer’s hearts etc as if that’s all that matters. After a moment’s thought he suggested that if Judaism can survive without an historical Abraham . . . . That sounds logical enough. But of course since thinking further about it one has to admit that even without Abraham Judaism is still drawing on a lot of history for its raison d’etre. One might even wonder if all the biblical history were demonstrated to be without foundation (as some would say has been demonstrated) there is still enough history since biblical times that Judaism draws upon for its sustenance. But to move Christianity from its historical mooring of a crucifixion that was attributed cosmic significance is something else. It probably requires a vision of the kind once advocated by the likes of Albert Schweitzer. But Schweitzer is dead — even his apocalyptic Jesus did not have the historical substance that Ehrman imputes to his Jesus — and other more literal-earthly-historical minds have dominated the discourse since. Robert, I can’t accept the definition of religion as “any conceptual framework that explains reality, that ‘binds’ us to a seemingly coherent set of assumptions regarding what is considered absolutely true.” That’s not what it means in everyday parlance — except perhaps among the religious themselves who want to impose religious frameworks upon everything else. I can believe in awe, wonder, poetry, tragedy, beauty and meaning — and none of those things requires any religious conceptual trapping. We have a story (a “myth” in the technical sense of the word if you like) already that does provide a common social or community binding. It is evolution. The awareness that we are alone, that this is all there is, and the story that is always unfolding of how we came to be as we are, and our place in relation to all other living creatures — this is as richly fulfilling, meaningful and socially binding as any religion could be. And it is based on reality, not myth in the sense of fantasy tales. If “religion” means “any conceptual framework that explains reality, that ‘binds’ us to a seemingly coherent set of assumptions regarding what is considered absolutely true” then religion has lost all meaning as a distinctive category and another word will have to be found to cover all that is currently generally understood by “religion” or “religious”. Defining “religion” to effectively cover everything means shutting down any possibility of debate between religious and nonreligious concepts of meaning, reality, etc. And I believe that humanism is attempting to supply a new “social narrative”. But it’s extremely difficult in the long and stifling context of the religious outlook which humanity seems to have evolved, probably from necessity. One reason why early Christianity went from the sophistication of Paul (so much so, that even modern theologians have trouble parsing his thought) to the simplicity of an HJ, is that most minds are simply not capable of the former. Thanks Neil, Earl and Grog. One thing I wanted to get at with defining the parameters of a religious framework arose from Earl’s term “ultimate reality” which he links to “legitimacy”. In the war between reason and faith, reason has adopted the rational standpoint that we have no ultimate knowledge of reality, that all claims are provisional, so science speaks of confidence rather than certainty. Science expresses no certainty regarding ultimate reality, a concept that scientists question as metaphysical. This rejection of metaphysical language is a highly ethical principle, but socially and politically it cedes ground to the religious who have no such scruples about claiming access to ‘ultimate reality’ in a transcendental personal god as the source of their legitimacy. Mythicism is also fighting with one hand tied behind its back because it sees theology as a logical debate, a stance that neglects the importance of simple symbols and ritual as a necessary basis for popular involvement. But the power of mythicism rests in logic, and the illegitimacy of conventional theology rests in its claim to be logical while refusing to consider the evidence objectively. As a political debating method, my view is that mythicism should seek, as Grog notes, to be the authentic voice of Christianity, and to say that literalism is illegitimate. Historically, tliteralists were ignorant scheming usurpers who destroyed the high original message of a mythical Christ. As Earl puts it, Paul was too sophisticated for the popular view, so the Gospels dumbed down his mysterious vision by setting it in a comprehensible historical framework. My view, partly following Pagels, is that the early church maintained an inner-outer distinction between spiritual and materially based visions, but the ‘hylic’ materialists who could not understand abstract myth had the social power to overwhelm the spiritual ‘pneumatics’ and Gnostics. The hylic materialism of literal faith is a degraded remnant of a legitimate religious vision, of a mythic cosmic Christ as binding our temporal world to an eternal truth. Again, eternal is a contested word, and I am using it here just in the sense that mathematical concepts, scientific laws and ethical principles are eternally true, as Plato taught. His work too was degraded into the materialistic theory of forms, when really Plato was explaining the distinction between entity and idea. Hegel had a vision of the evolution of thought towards a comprehension of the absolute. He too found his high ideas degraded in the Marxist shift from a phenomenology of spirit to a dialectical materialism. Such language confronts people who are not familiar with it as incurably obscure. But collegial dialogue has potential to unpack the meaning of things that initially seem opaque. Such dialogue often meets psychological resistance. Maybe that is why Paul’s vision of a cosmic Christ had to be simplified into a historical saviour. Paul’s mythic idea rode on the coattails of the literalist institution, and now, at the end of the age, the gospel of the kingdom has been spread to the whole oikoumene, the whole inhabited earth as Jesus put it in Matthew 24, and people are beginning to recover the lost understanding. Through the work of scholars such as Earl Doherty, the real meaning hidden within this simplified popular fable is being uncovered. I wonder if there is a confusion of concepts here. Mythicism is not the least interested in engaging with theology logically or in any other way. Mythicism is a conclusion from a study of symbols and ritual as they appear in the documentary evidence. Or maybe I’m not the one to intrude here. I have often tried to argue that “mythicism” isn’t a stance from which one argues about the evidence, but a conclusion reached as a result of a normative analysis of the evidence. If that normative analysis leads to something else with new insights and evidence, so be it. Theology on the other hand does argue from a faith or doctrinaire position that needs the evidence to be found in its favour. If the debate appears today to be between “mythicists” and “theologians”, I wonder if an argument can be made that such a presentation of the question is misleading. Theology represents an a priori faith position. Mythicism, as I understand it, is nothing other than a conclusion drawn from analytical and valid studies. Of course there are no doubt some people who are keen to argue “for mythicism” rather than “to mythicism” from the get-go. But we can’t be held responsible for every person in the cheer-squad. 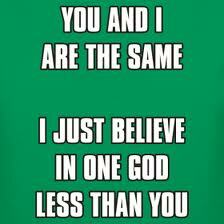 Nor can we bracket theologians of liberal and conservative and other viewpoints all as one lump. Neil, it all raises the question of whether mythicism as an intellectual discipline is located within history or within theology. Obviously history is the primary context, because mythicism is demonstrating that the historical assumptions of conventional religion do not accord with the evidence, and that the texts about Jesus are better explained by a reconstruction of the events to reflect the gradual evolutionary enfleshment of a myth. However, perhaps history is just the starting point for mythicism? The recognition that Paul was not speaking about a real founder who inspired his message does not invalidate Paul’s Christology considered on its own symbolic terms. The big topics of theology – soteriology, Christology, ontology, cosmology, teleology, eschatology – remain just as important whether or not the conventional dogma has been founded on fact or fantasy. Perhaps that dogma is grounded in a hidden valid observation? If we now look systematically at this material against the facts unearthed by mythicism, we have the potential for a highly productive dialogue. And especially when we place the psychological emergence of the Christian fantasy within its real social and political framework, and ask what that big lie tells us about the fallen and fractured nature, motives and incentives of human culture. There is no point saying that the errors of the church mean theology is obsolete as a discipline. On this I disagree with Heidegger’s claims that a philosophical theology is a misunderstanding and that theology is intrinsically irrational because of its grounding in supernatural dogma. Rather, it is better to start from what the historical evidence tells us, and then ask what this means for the big questions – why are we here, what exists, how do we connect to ultimate reality, is there purpose and meaning in life, how can we be saved? The Jesus myth still has much to teach about these topics, and about the analysis of how these central texts were actually constructed. Robert: “Rather it is better to start from what the historical evidence tells us, and then ask what this means for the big questions – – how do we connect tp ultimate reality, is there purpose and meaning in life – – ?” From my experience here you are the first to in any way raise “the big question”. It is what the pointed aim of the mythicist seems determined in all possible ways to avoid. I have posted a comment, A viable historical solution to the “Jesus Puzzle”, which should interest you. Located at site: Debunkng Christianity. Thanks for these encouraging and significant statements. It’s too easy to eviscerate established words from their content and create new meanings that only confuse minds. The ancient Romans made a nice distinction between a “superstitio” and a “religio”. They knew them when they saw them. Today anything with enthusiasm and dedication can be termed “religious”. Go figure. In like fashion, I have suspected “Mythicism” of being an imprecise and confusing Journalistic Jargon. – and “mythicism” (originally, “attributing an origin in myth to narratives of supernatural events”; also “the tendency to create myths”). Those two words used to apply to all kinds of myths, not particularly to Jesus. But both were bizarrely adopted as a convenient, but imprecise journalistic shorthand for the denial of Jesus existence, or the non-historicity thesis, as Goguel put it. Theologians, arguing from the existence of the NT documents and the indoctrination from the Christian Church, affirm and demonstrate Jesus historicity to all little children; while the rebuttal of Jesus historicity has been the counter-thesis, coming in second position, after the positive thesis. The non-historicity stance always was a negative one, from the very start. See Celsus, Galen, Julian, Lucian, Martial, Porphyry, Tacitus, Zosimus, etc.. Same thing with Albert Schweitzer, who, in the 2d edition of the Quest (1913, Ch. 22 & 23), only speaks of Bestreiter der Geschichtlikchkeit Jesu, or Verneiner i.e. challengers, or deniers of the historicity of Jesus. Jesus has to be phenomenologically defined, before his existence can be denied. Theologians like to obfuscate the order of this conceptual link by reversing it, claiming that “mythicism” is a positive assertion, which has to be “proven”, with the historicist only putting up a defense against the “mythicists” — Bart Ehrman’s claim in fact. Using the word defense switches the onus of evidence onto the non-historicists. This reversal remains impossible when using the terminology of Schweitzer. “Mythicism” is also turned into the label of a fictitious, supposedly monolithic, “movement”, in which fellow travelers are presumed to show cooperation, provide mutual support, and overlook their differences, like a bit street party, or even a new “cult”. But such mythicism is an abstraction, which per se does not exist. It is not a party, not a movement, not a community, or a brotherhood, and certainly not a cult. Only individual “non-historicists” exist, each one with a different interpretation (or none) of the origins of Christianity. There are as many differences and rivalries among “non-historicists” as among “historicists”, with no apparent dogma or party line, from the Dutch Radicals to the modern crop. Their only common stance is the rejection of the Christian assertion of Jesus historicity. Remarkably, theologians and historicists do exhibit equally different constructions of the historical Jesus — to the point of creating a “mess”. Schweitzer never attacks an abstract phantomatic anonymous doctrine. As a historian, he always addresses the arguments of targeted scholars and writers, from the platform of his own personal arguments, avoids “weasel” expressions (“some say,” “mythicists claim”, etc…) and specifically, in his good German Gründlichkeit, always names names. •	Evisceration, or disembowelment, is a rather loaded term to describe debate over the meaning of religion, a word which has a broader use than its conventional context alone. •	But we don’t have to share the intense conservatism of Rome. There is massive overlap between religion and superstition, in view of the scientific argument that all claims of miracles and the supernatural are superstition. •	Any claim of an absolute certainty has a faith dimension, contrasted to the provisional nature of scientific confidence. •	Your definition here is exactly the use of mythicism made by those who question the existence of Jesus. To argue the supposed supernatural narrative of the New Testament originates in myth is hardly imprecise, let alone bizarre. •	No, that is a sloppy statement. You cannot demonstrate something that is false. •	That is in dispute. There is no “historicity” in Paul, whose writings predate the Gospels. The suppression of Docetism looks like literalism was a revision of an earlier spiritual teaching. The evidence suggests that orthodoxy was the counter thesis, but it revised history to give the reverse appearance. Fantastic work Earl, and Neil. Kudos to you both! As a youth my NT Quest was triggered by Archibald Robertson and Howell Smith, mentioned above, plus Couchoud and J. M. Robertson, and the responses by e.g. Felder, Grandmaison and Klausner, and it is only in recent years that I have returned to these issues and the New Mythicism. My immediate problem with this minute evisceration of all the literature is precisely its total scale. One wonders why any of it arose in the analyzed formats at all. I can see that we might regard Yahweh, Allah and Ahura Mazda as non-existent, but what about Moses, Muhammad and Zoroaster?